From large corporate events to intimate executive boardroom meetings, Best Western Plus Port O’Call hotel offers stunning event facilities ideal for any occasion. With free Wi-Fi, plenty of complimentary parking and special rates for overnight groups, we remain a top pick among Calgary hotels near the airport for business-related meetings and events. 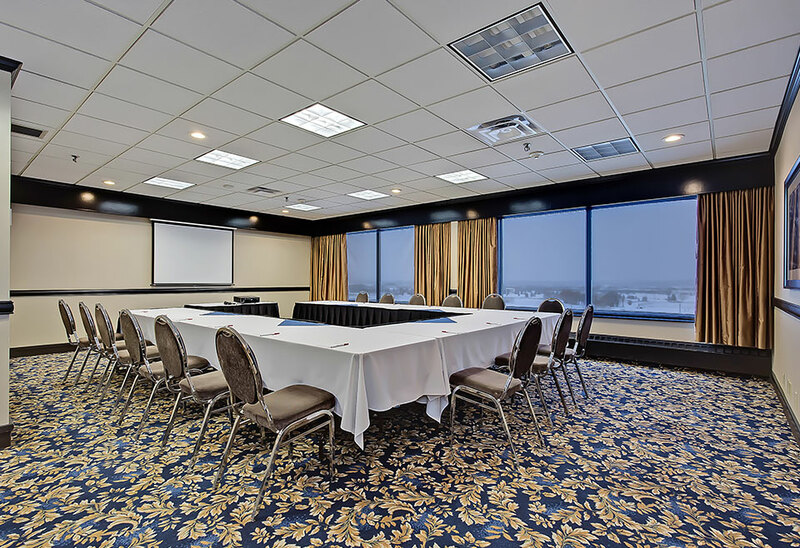 Local and out-of-town event organizers alike, it’s time to end your search for great hotels with meeting rooms - Best Western Plus Port O’Call Hotel has exactly what you want. To book your event at our stunning Conference Centre, please contact us or fill out an online Request For Proposal and a sales member will get back to you as soon as possible. Perfect for our corporate guests in town on business or local companies seeking professional meeting space, we offer 12 spacious meeting rooms complete with audio-visual equipment. 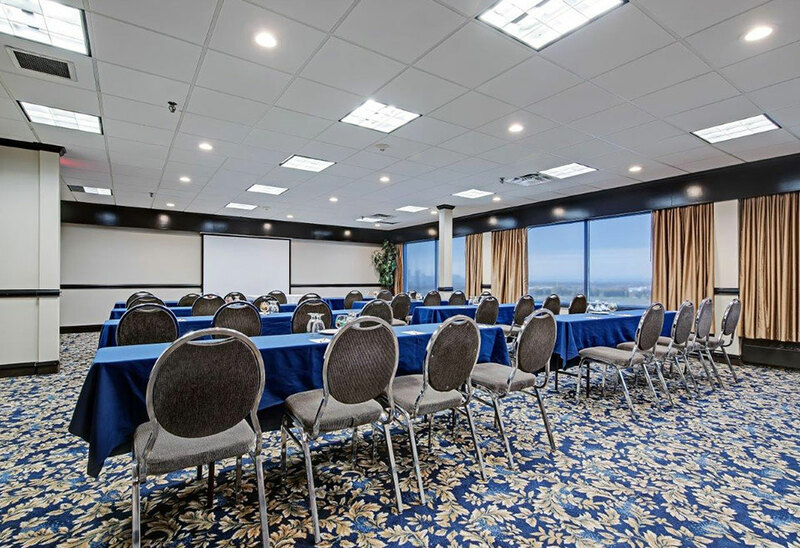 Spacious facilities include the Yankee Beacon, Kitty Hawk and Boardroom, featuring full windows for plenty of inspiring natural light, with stunning panoramic views of downtown Calgary and the Rocky Mountains. Our grand ballrooms accommodate up to 250 guests, making our Calgary airport hotel one of the top picks in the city for large corporate functions, such as holiday parties, retirement celebrations and team-building staff events. 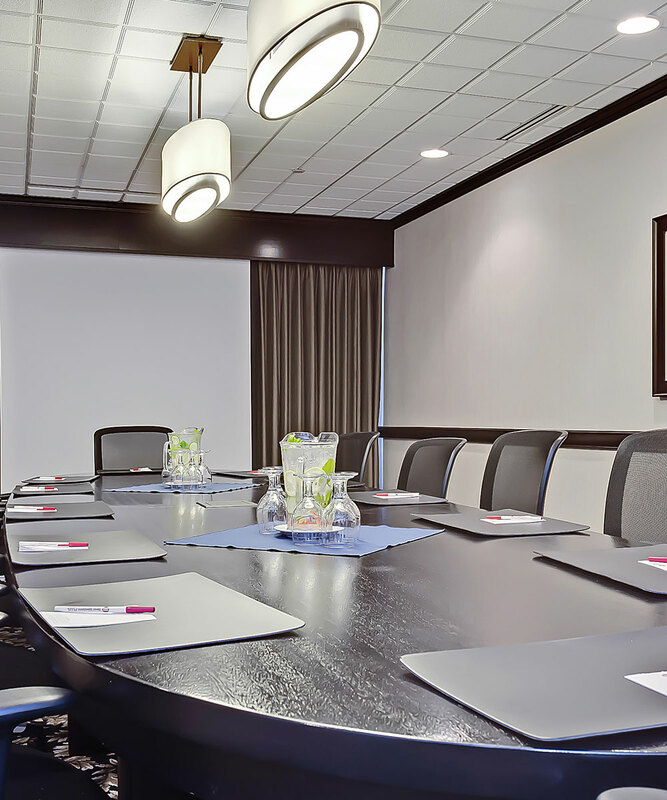 The Boardroom is the perfect setting for a executive session with comfortable seating for up to 12 guests, while the McCall Rooms are perfect for more intimate corporate meetings with space for up to 32 guests. Our talented, professional sales and event staff will help you plan your event down to the smallest detail. 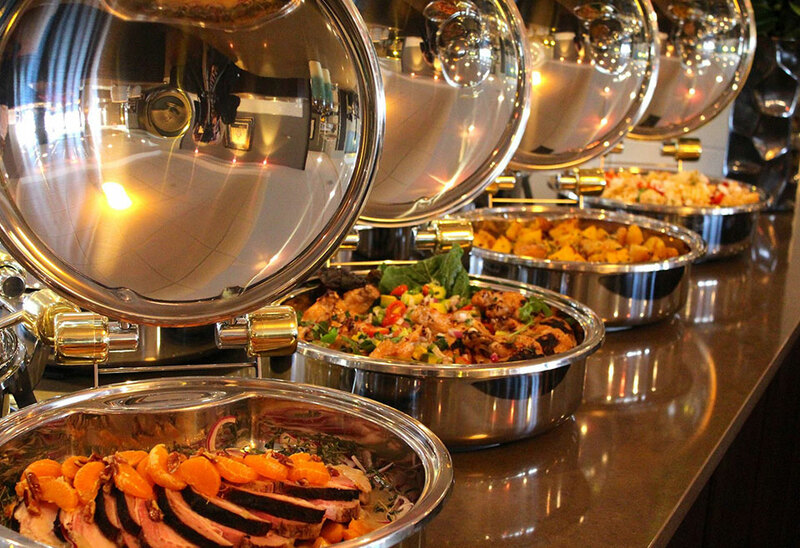 From catering services to pre-event cocktail reception planning and event execution, our team goes the extra mile for our guests. Best Western Plus Port O’Call proudly offers a variety of complimentary features designed to make your professional meeting or corporate event a success, including free parking in our secure indoor parkade, free Wi-Fi, special group rates and a complimentary 24-hour airport shuttle.